“Jonathan Franzen has excelled most conspicuously at worrying about literature’s potential for mass entertainment… In reviews, essays, and lately even a short story, he has taken wild swings at some unlikely culprits in literature’s decreasing dominance. In the process he has also managed to gaslight writing’s alien artisans, those poorly named experimental writers with no sales, little review coverage, a small readership, and the collective cultural pull of an ant. I submit that the thing both Grossman and Marcus are describing is a key element of Franzen’s appeal to mainstream “literary” critics—he is just experimental enough as an novelist to tip the scales in favor of being viewed as “literary” rather than “commercial,” even though he is trafficking in, broadly speaking, the same type of domestic dramas you’ll find in, say, Jennifer Weiner’s Fly Away Home. Weiner’s narrative, about the ways in which a United States Senator’s confession of an adulterous relationship affects the lives of his wife and their two daughters, is presented in an almost completely linear fashion; there is some temporal backtracking and overlapping from one chapter to the next, as Weiner shifts perspectives, but she doesn’t call attention to it. Freedom, on the other hand, tells the story of one family’s disintegration and reconciliation (by means of events, including adulterous relationships, that are inflected with both political and cultural significance) as a series of sweeping narrative arcs with prolonged immersion in various characters’ perspectives—even, in the opening and closing sections, an ethereal “community” voice in which the most important events are told to the reader secondhand. Both novels thrive because their authors tell dramatic stories in an engrossing manner; one simply chooses to be more obviously virtuosic about it… but not so virtuosic as to call too much attention to his style. 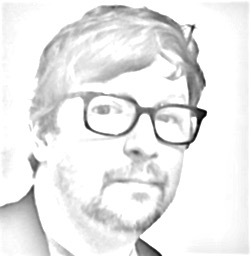 The flipside of Franzen’s limited experimentation, however, is an occasional risk of the prose coming across as too clinically detached from the drama. This is especially true of the second major section of Freedom, “Mistakes Were Made”—presented as an autobiographical statement by Patty Berglund and required to exist, within the world of the novel, as an actual physical document, for reasons that become apparent much later in the storyline. But, except for a few awkward self-conscious references to “the autobiographer,” the prose’s close third-person perspective is not highly distinguishable from the close third-person perspective Franzen uses for his male characters, enabling him to simultaneously present the reader with a bird’s-eye view of the story and a commentary that brings a sense of introspection. 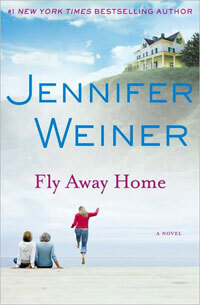 Weiner uses a similar close third-person voice throughout Fly Away Home, except that she consistently tips the scales in favor of “introspection” over “bird’s-eye view,” such that a reader would be hard pressed to view her storytelling as detached. Jane Smiley hits upon this very point in her comments to NPR about the furor surrounding the attention for Freedom: “There’s an aspect of fiction that is being written by women that is really smart, really daring, in terms of the subject matter that it takes on—and really popular,” she said. “And I think it’s being overlooked because it’s so, so straightforward and because the payoff is emotional rather than intellectual.” In this respect, it’s also significant that Franzen’s novel isn’t just about a family falling apart: It’s also the war in Iraq, and the greed of those who orchestrated its conduct; it’s about the tension between artistic integrity and commerical acceptance; it’s about environmental decimation and the destructive side to the ascent of middle-class consumer culture. It’s about Big Issues, in other words, while Fly Away Home is “simply” about a woman in her late 50s coming to terms with her husband’s infidelity, a woman in her thirties who is recklessly steering her own marriage to a breaking point, and a recovering addict in her 20s who needs to open untapped reserves of emotional strength and responsibility. (Yes, they’re all related to a U.S. Senator, but that’s used for specific dramatic effects and only tangentially, fleetingly connected to the world at large.) So the one novel is hailed as ambitious for its grand themes, while the other is critically ignored—even as both have no problem, if the bestseller lists are anything to go by, finding an audience. 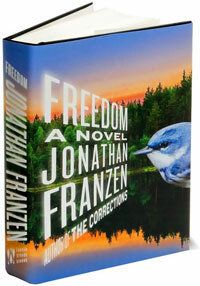 As an test, I took excerpts from the opening chapters of Freedom and Fly Away Home and submitted them to a website that evaluates text on the Flesch-Kincaid readability index, where 0 would be impenetrable and a child could easily understand 120: Franzen’s prose earned a score of 57.70, and Weiner’s rated an even 70. The website also provided “grade level” ratings on five separate scales, as well as an average of those ratings: According to that system, the first chapter of Fly Away Home is written at a ninth-grade level—on a par with the reading skills of the average American—while the corresponding chapter of Freedom, heralded as being not just a more literary novel but already hailed as a masterpiece of American fiction by the New York Times Book Review, was written at an eleventh-grade level. So you don’t need to be that much “smarter” to read and appreciate Freedom—which is in no way intended to slight Franzen’s artistic achievements in the novel, for they are significant, and they deserve your attention. I mention it because it confirms what Grossman told us about Franzen’s prose and its (commercial) accessibility, and suggests that the gap between him and other writers may not be as wide as some critics have made it out to be. Grossman isn’t one of those critics, though: “When you have authors like Franzen and Weiner,” he told an interviewer recently, “both great in different ways, both playing in the same space, you realize they’re both doing incredibly different things.” You can only make that realization, however, if you’re reading them both. So if self-styled “literary” book reviews elide over Weiner’s existence, because they view her work as (in the words of one New York Times reviewer, who gave her a glancing mention in an appraisal of an entirely different book) “frothy entertainment” rather than literary fiction, and when they treat numerous other commercially successful women writers the same way in pursuit of works that will “endure” into posterity, they are not only giving their readers an incomplete view of contemporary American fiction—which every book review does, after all, because nobody has the space to be comprehensive—they risk undermining their own aspirations of cultural relevance.